In post to Anthem's Reddit community, lead producer Ben Irving has confirmed changes are coming to the game's loot system. The game's current system has been a common complaint amongst players, with endgame content feeling unrewarding. To address this, a number of changes will be rolling out today. Most notable is that common and uncommon quality drops will be removed from level 30 loot tables. Irving noted that "this was a highly requested change and we agree, so that’s that." Another big change is the required crafting materials for a masterwork, which will be reduced from 25 embers to just 15. Inscriptions have also been adjusted to be more relevant to their associated gear. After the update, an inscription that applies to a specific item will always be useful, or it will provide a Javelin-wide benefit. Irving's example highlighted the woes many players were facing. "An Assault Rifle will not have an item specific +pistol damage inscription. It may have a +electric damage suit wide inscription (cool for a lightning build)"
While the game may have gotten off to a shaky start, BioWare is doing well to keep up communications with its community. 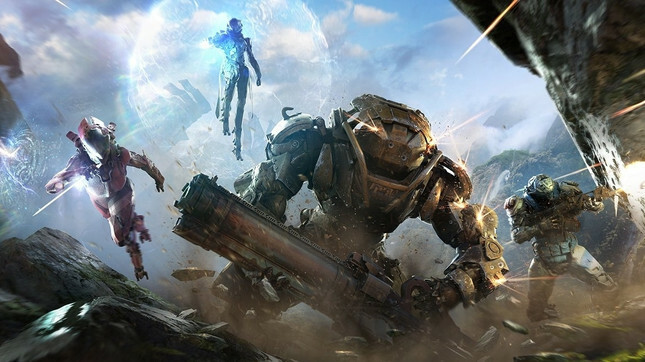 The developer recently detailed Anthem's roadmap for the next three months, giving insight as to what players can expect in the near future.